London, December 9, 2016 – Waste plastic is an enormous challenge worldwide. Yet, as production continues to increase, just 5% of waste plastic is recycled effectively. Bühler is addressing this global challenge with a tailored PET recycling solution, capable of improving yields by more than 30%. A strategic partnership with US-based National Recovery Technologies (NRT) allows the company to offer plastics recyclers a complete solution for plastic bottle and flake sorting. Plastic production is increasing massively and has become a severe ecological challenge. Plastic production has increased 20-fold since 1964, to some 311 million tonnes in 2014 and the numbers are expected to double again in the next 20 years and quadruple by 2050, according to a report produced by the World Economic Forum and the Ellen MacArthur Foundation. The report also found that just 5% of waste plastic is recycled effectively. Assuming the recycling rate remains unchanged at just 5%, the report warns of alarming consequences – that there will be more waste plastic in the sea than fish by 2050, if the world doesn’t make significant changes. Collecting and recycling PET plastic has the potential to reduce millions of tonnes of waste each year. It can be reused to manufacture a wide range of consumer products, as well as food and drink packaging. Bühler is already a leader in the PET recycling industry, accounting for 25% of the recycled PET (rPET) recycled stream in Europe and approximately 10% of the global market. The company is now helping PET recyclers with an innovative, two-machine process solution that delivers bottle-to-bottle grade rPET flakes, at the highest yield currently possible in the market. The process is based on two technologies, offering superior color sorting, as well as sorting by chemical signatures, that can identify invisible and same-color polymers. The result is high grade rPET flakes for bottle production, plus a significant increase in yield. Furthermore, Bühler’s partnership with NRT establishes the two companies as first-choice technology partners for plastics recyclers. 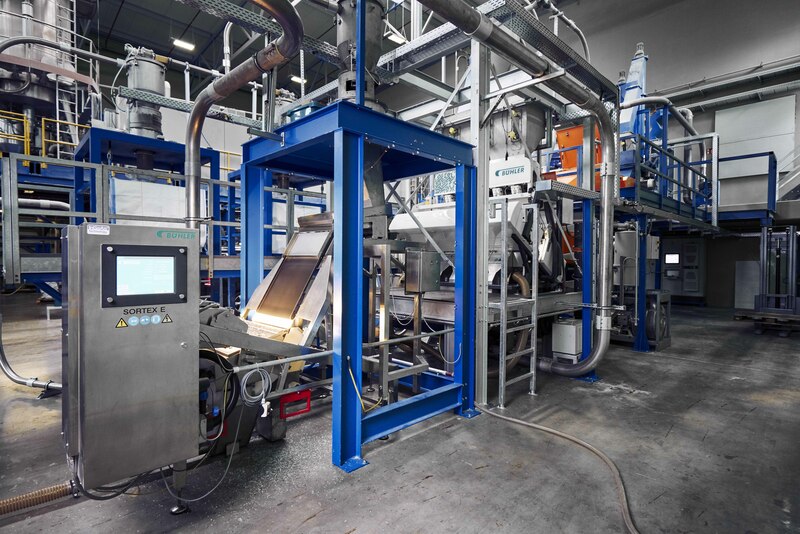 Together, they offer plastics recyclers a complete solution for plastic bottle and flake sorting, with NRT specialising in bottle sorting, combined with Bühler’s expertise in flake sorting. 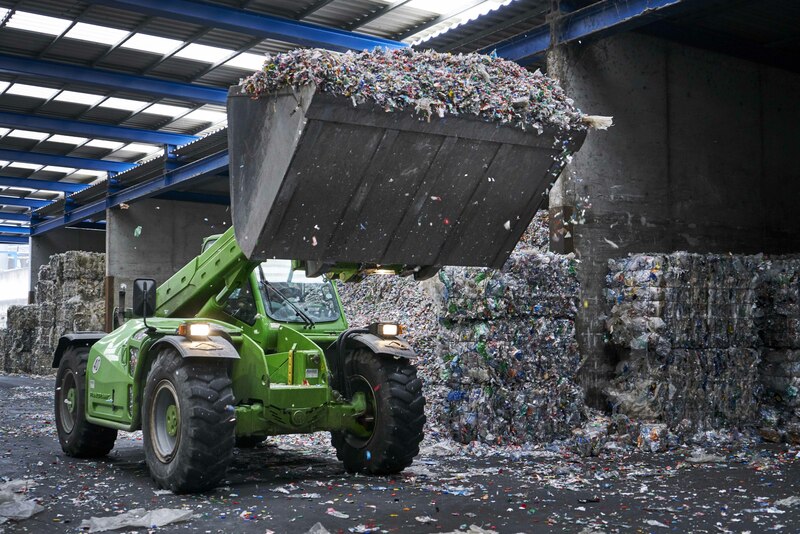 As a result of the new offering, global OEM and leading PET recycler STF recently switched to Bühler’s new process solution and was able to increase its yield of bottle-to-bottle grade rPET flakes by more than 30%. Mr Josef Söllner, managing director at STF, is convinced by the new technology: “We choose to use Bühler’s Sortex technology, as it is the best flake sorter on the market. We undertook several industry trials to evaluate other technologies, but discovered that Bühler provided the best solution – first class machine results combined with impressive customer service,” he said.